Lake Erie Wine Country stretches for 50 miles along the eastern edge of Lake Erie (Erie, PA to Chautauqua County in up-state New York) and wine tasting is just one of the awesome activities that attract in-the-know travelers to this bucolic corner of America. What’s that you say….you never heard of it? Well, I suspect everyone has been trying to keep it a secret for themselves. Come along as we discover what makes this region a fun and “spirited” getaway destination well worth discovering. The fertile land and temperate climate in this area are ideal for growing grapes and many varieties of fruit. Grapes have been cultivated here for more than 150 years, and it has developed into the largest grape growing region east of the Rockies. This area is the home of Welch’s, who turned grape juice and grape jelly into staples in every American household. 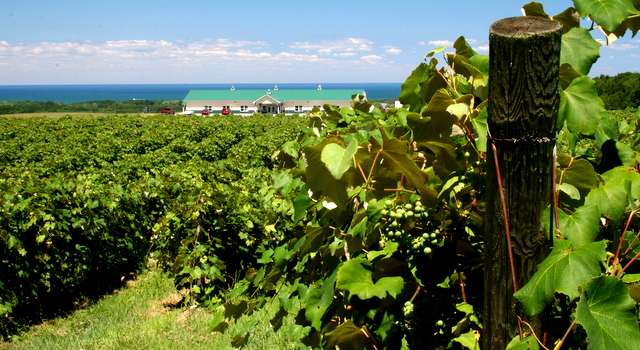 While neighboring states may be known for corn, corn and more corn, the eastern shore of Lake Erie is where you’ll find thousands of acres of premium grapes on the vine and family owned vineyards producing excellent vintages. You could easily spend 3 to 5 days here and not run out of interesting things to do. Lake Erie Wine Country is easily accessed from Rt I-90 or Routes 5 and 20, and offers lots of inns and small hotels for your stay. We decided to make Westfield, NY our base as it is roughly half-way along the wine trail, and is a charming town filled with stately Victorian era architecture. Westfield makes an ideal spot for visiting nearby vineyards and breweries, and for taking in all the summer activities and water sports along Lake Chautauqua (say “Cha-Talk-Wa). On weekends look for farmers markets and crafts on the village green. Don’t miss the Amish products and produce offered by local Amish families. The Brick House Bed & Breakfast, located a few blocks out of the town center on Rt 20 was our home-base. New owners Phil and Dan are the welcoming hosts and they go out of their way to make you feel comfortable. Phil share’s stories of the home which is filled with period antiques and you may feel like you’ve stepped back in time for a visit to ‘great grandma’s house’. Without a doubt the highlight of our stay was the food. Dan, who was a restaurateur, produces an abundance of delicious food during your stay from elaborate breakfast to sweat nibbles during the day . Don’t miss the evening brownie sundae interlude in the livingroom – you’ll have sweat dreams for sure! Vineyards and Breweries To Visit – too many to list (24 wineries alone), but here are two stops you simply should not miss. The oldest estate winery in New York, this was our favorite tasting experience by far. Nancy, our tasting guide, was a complete delight and filled us in on all the background info while serving up the best wines of our road-trip. Johnson Estate has been in operation for over a century and the complexity and balance of their wines are testament to their expertise. Johnson Estate produces 37 types of wine, with most of them being grown, vinified and bottled in one location. Our favorites were Vidal Blanc, Seyval Blanc (between a Pino Grigio and Sauvignon blanc), dry Reisling, and Traminette. 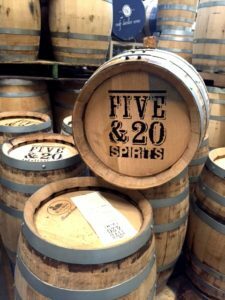 Named for nearby Routes 5 & 20, this new outpost owned by respected Mazza vineyards, is New York’s first and only triple spirits company – Winery, Distillery and Brewery. In short, they do it all and have taken craft alcohol production to a whole new level. Taking advantage of the abundance of local growers and their own fields, Five & 20 goes from locally harvested grapes, grains and hops, to-the-glass within their own facilities. 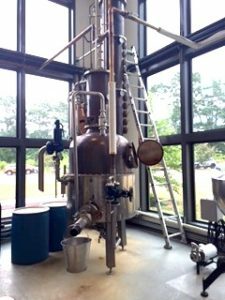 In addition to fine wines produced at Mazza Vineyards, the distillery and brewery are hard at work creating craft spirits including whiskeys, liqueurs and microbrews. Look for Rye Pale Ale and Stout, Eau de Vie from apples, plums, cherries and pears, gluten free vodka distilled from grapes and blueberries, as well as beer aged in Jamaican rum casks – Stout Lucia. There’s lots to explore at Five & 20, and don’t miss “Pint Night” on Thursdays in summer with 1/2 price beer. They’ve also introduced a scenic patio where you can sample their products along with sophisticated small plate food selections. While in Westfield, you’ll want to make a stop at the Grape Discovery Center on Rt. 20. Here you’ll learn about the 150 year grape growing history and be able to sample many of the wines of the region. Admission is free. A short scenic drive south on Rt 394 will bring you to Mayville at the northern tip of Lake Chautauqua. Here you’ll encounter a festive lakeside community that comes alive in summer with boating, fishing, biking and golf. We had a wonderful dinner at Webb’s, one of the water-view restaurants. You might want to step aboard the Chautauqua Belle, a paddle-wheel steamer, for a two hour cruise of the lake with narration of the local history. You’ll notice that this area has a robust arts community with local artist galleries lining the route. The Chautauqua Institution is worth special mention. Located a few miles past Mayville you will find the Chautauqua Institution, a lovely gated village dedicated to learning and “exploration of the best in human values and enrichment of life”. Classes, lectures and performances are offered in a beautiful setting during the 9 Week Summer Program, for both youths and adults. There is plenty of room to roam with 750 acres along the lake. The village itself is delightful, with narrow streets lined with an eclectic array of homes and inns, all with expansive front porches ideal for the gathering of friends, contemplation and conversation. The community is dotted with performance venues, artist shops, boutiques and restaurants. The historic Atheneum Hotel reflects the community’s elegant and storied past and still welcomes guests to stay and dine. There is always a wide variety of speakers, theater performances, symphonies, and art classes offered each week. Entrance is free on Sundays – park across from the gates – walk the grounds or take free shuttle bus tour. Advance ticket purchases and reservations are a must for classes and performances. This community is quite enchanting and well worth exploring. You’ll find that Chautauqua county has an abundance of learning opportunities. 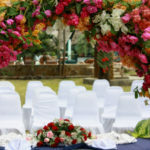 There is also the Roger Tory Peterson Institute of Natural History, the Robert H. Jackson Center for Justice, Audubon Center and Sanctuary, the Fenton History Center, Lily Dale Assembly, numerous museums and Amish Trail. On a lighter note, Jamestown at the southern end of the lake, is home to the Lucille Ball – Desi Arnaz Museum and Center for Comedy. Lucy’s hometown pays homage to Lucy and Desi with some original sets and Emmy awards. Each summer they host a four day Comedy Festival with over 50 performances. In 2016 the dates are August 3-7. All in all Lake Erie Wine Country is a fascinating destination that deserves a visit at least once in your lifetime. For more information visit LakeErieWineCountry.org and TourChautauqua.com.